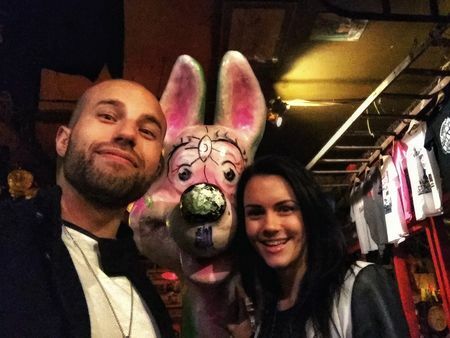 So I completely forgot to publish the first half of this post, which was a quick update to my recent round-the-world trip, so I am forced to couple it with my most recent trip to Thailand for AWasia. 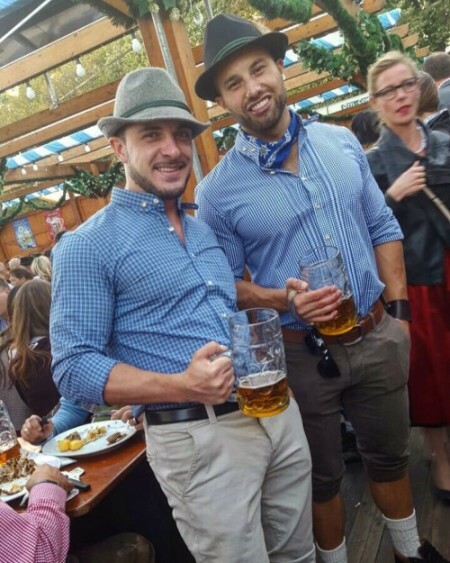 As you may know, from my last travel-update post, I was in Munich, Germany to participate in Oktoberfest and meet with Timon H, an industry friend and ex-DNTX employee. After Munich, I ventured off over to Budapest, meeting with Christina S. (FBQueen), who just spoke at AWasia in Bangkok. We met up a couple of times and I also attempted to explore the city, however, it rained a lot, so I mainly just worked from my AirBnB whilst there. Must revisit in summer. 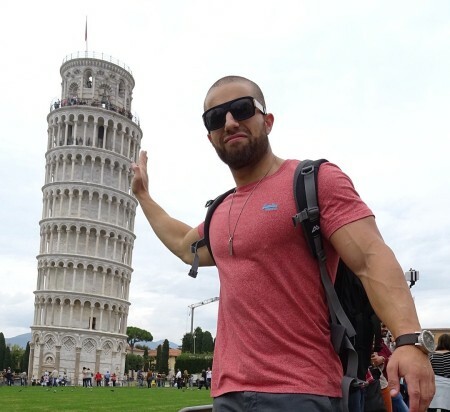 I then disembarked and ventured off over to Italy, where myself and my good friend began our adventure in Pisa, being typical tourists and visiting the leaning tower. We then drove down to Florence to see what the hype was all about. Whilst we enjoyed ticking those things off the bucket list, there was a great lesson here, and that is, you should never ever drive in Italy, unless you’re in Sicily..
Not only are they insane drivers over there, the Italian’s have some awful laws that are basically designed to trap tourists. The city-centers seem to be littered with “ZTL” areas, aka, Zona Traffico Limitado (Limited Traffic Zones). To the unsuspecting tourist who was given a rental car and never warned, these are zones that you would never suspect exist. Basically, they are all over Pisa, Lucca, Florence and Rome as well as other parts of Italy (normally big cities). They even exist in Taormina, Sicily, a place where, without a car, you’re pretty much unable to get around in, especially if you stay in accommodation way up in the mountains. So what are these zones? 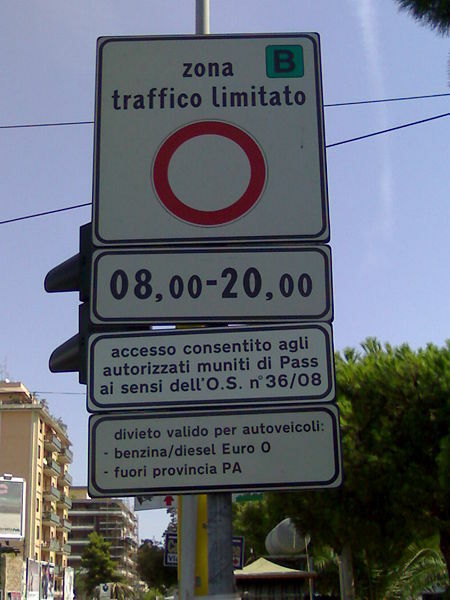 They’re basically zones restricted to local residents with permits only, and if you drive into them by chance, without a permit, a photograph of your number plate is taken, and you are then issued a ticket (apparently to your address back home) worth 80 euros or more. Now, I can stomach one fine, however, from what I read, it’s very common to receive multiple fines at once, on the same day, and within minutes of each-other. So basically, just take a bus from Pisa to Florence if that’s the route you decide to take or suffer an annoyingly expensive surprise 8-12 months later. On the upside, the food in Florence is second to none, and the rich history makes for an interesting visit. Unfortunately a few bumps in the trip made Pisa and Florence a sour experience, but all in all, I don’t regret going. After Florence, we went to Sicily, and decided to spend 6 days there instead of 3, as we had planned to also check out the Amalfi coast, but didn’t want to burden ourselves with all that transiting. Besides, the weather in Sicily was nicer, except for the last day. The sky opened up, streets were flooded, a landslide blocked the freeway and consequently, we got stuck in hours of blocked up traffic – missing our flight out to Rome. We had to rebook and still made it that night but we lost a whole day in the process. Thank god for pocket-espressos I guess! After Rome, I flew over to Dublin for 5 days to meet with an advertiser and get a little down time so I could catch up on work before figuring out my next move. I was highly undecided on whether or not I wanted to go to New York for Ad:Tech or directly to LA to celebrate Halloween and have a few meetings. I eventually decided flying to Melbourne to my dual 27″ monitors was a much wiser decision for work productivity. You will get scammed in Hungary by Taxis. Be cautious. Driving in Italy is foolish unless in Sicily. Even then, be careful during their high season. Don’t leave your friend at bars in foreign countries when they’re highly inebriated. They tend to lose their phones, and get mugged that way. Traveling is way too stressful when you only stay for a short time and constantly hop around. Affiliate marketing isn’t dead – it’s just gotten a bit harder. I need to build a team and work on building a real asset as opposed to pure CPA. The instability of CPA offers is brutal. 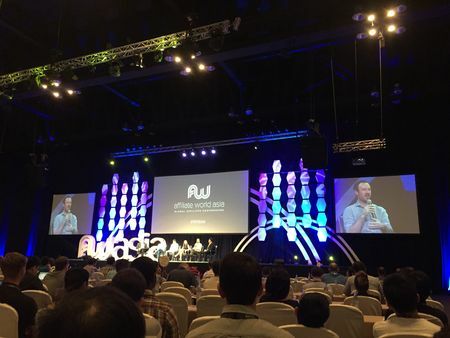 If you weren’t lucky enough to get yourself down to Asia this month and attend the first ever Affiliate World conference in Bangkok, here’s what you missed out on. 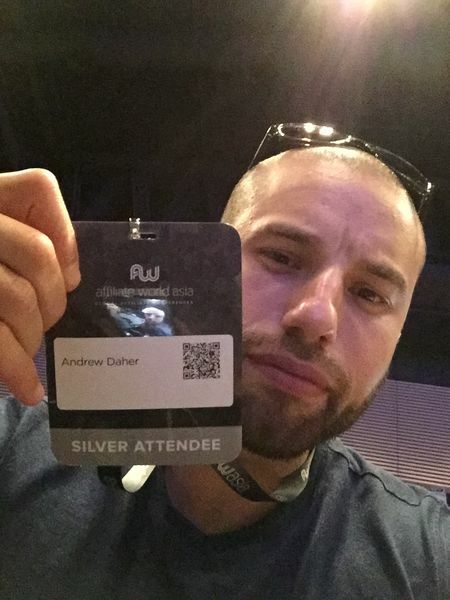 It was a 3-day event, filled with speakers and panel-discussions with topics ranging from general affiliate marketing, outsourcing, mobile marketing and how to build an 8-figure business with an exit-strategy. Some of the panel members and speakers were exceptional whilst some could brush up a little on their public speaking. Some of the speakers who did an individual presentation or were part of a panel discussion included Ryan Holiday, Gerard Adams (Elite Daily), Tim Tetra, Benjamin Yong, Alexander Willemsen, Lorenzo Green, Charles Ngo, Steve Jukes (Jumbleberry) and many others. There were even Google and Facebook employees who spoke on the panels and provided some crucial insight. The format of the conference I believe had an essence of inspiration from TED talks which I thought was a clever move. I really enjoyed the this conference, way more informative, interesting and affiliate-friendly and I think the STM owners are really going to run Affiliate Summit out of business if they can keep this up. Hats off! A lot of solid information shared and great ideas sparked. There was also a meet-market and after-conference meet-and-greet drinks which, to say the least, was an exhausting activity. Turns out, going to all these meetups, conferences and conventions this year (about 10 in total) led me to befriend a great deal of people in the industry… many names of which I forgot… I blame it on meeting in environments which aren’t exactly conducive to memorization (damn you vodka!). I even got to meet Finch (Martin Osborn) from finchsells.com in real life for the first time, and was notably surprised at the lack of testicle-jokes in our real-world conversation. 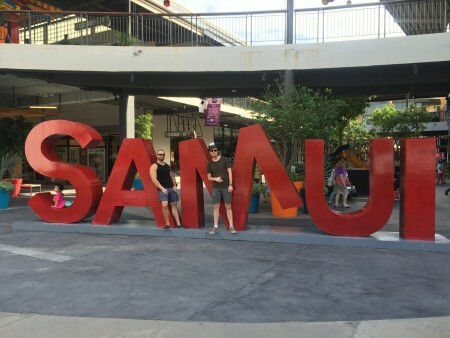 A large amount of people then extended the trip and went to Koh Samui, where many of us stayed at the same hotel (Casa De Mar) making for a great way to network in a casual environment with some incredibly smart and established people in the industry. Can’t be more thankful for the new connections and friends I have made. The industry is growing, and shifting actively. Adaptation is inevitable. Spend your time learning the biggest traffic sources and how to master them, instead of wasting time with smaller, lower quality sources. Something I don’t do enough of but will in 2016. Finding the best way to structure a team is a fine balance, depending on each person’s role, and which form of compensation works best (media buyers vs developers for instance). The next conference will be set in Berlin. As far as I know, no date has been set yet and no details released. There’s a very high chance I’ll be there and hope to see you all there too. Yes, here’s that section that you’ll probably skip over. 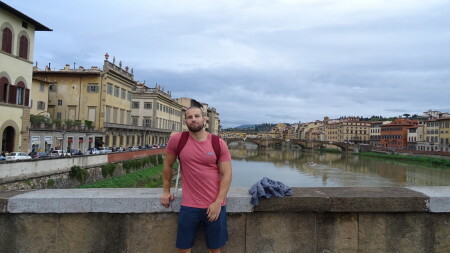 Make sure to revisit my blog when looking for a gym and traveling. I’ll have most likely mentioned it before. Nyugati location is a very new facility, quite big and has decent equipment. Great facility. All the equipment you need. A bit far out of the center though. Entry: Free for first visit. ~1000 forint thereafter. Tiny little gym, old equipment. Does the job for a workout, although you’re probably in Florence to eat the great food and admire the historical sites. Tiny Gym, not a lot of equipment. Only visit if you’re desperate for a workout. There doesn’t seem to be much else around. Also a bit hard to find. Since I stayed in Dublin 2, I went to FlyeFit, big facility, had most equipment you need. I got lucky and my Airbnb host was able to get me free entry for the duration of my stay. They have multiple locations. Address: Located on top of McDonalds, Starbucks, Burger King and Pizza Company on the Chaweng main road.